The LD dollar sale is ending and LD has just added a new collection to their site and the sale! Use the code Create2014 to take $3 off $10 or WhoLetTheDogOut to take $10 off $30. Click HERE or the image above to go to the LD site. Add the two Astronaut files to your cart and checkout. You pay $0.00! The links to the downloads will show up after the "transaction" is completed. scrapNfonts is a sister site of LD and they also have a freebie to give away. 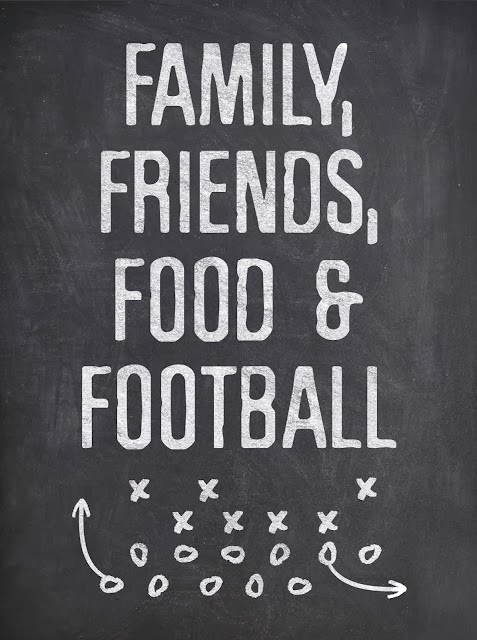 Click HERE to go to their Fontaholic site and download the Family & Football print for free. 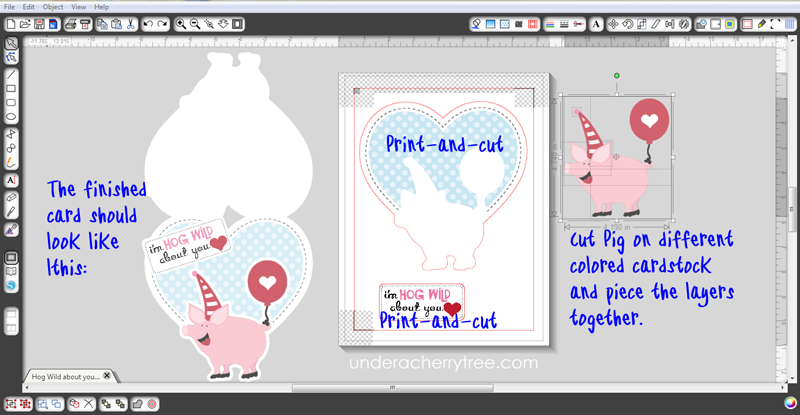 Silhouette Studio users, don't forget your weekly freebie from the Silhouette Online (Shapes) Store. Just in time for the Super Bowl, check out LD's new Game Day Cut It project! 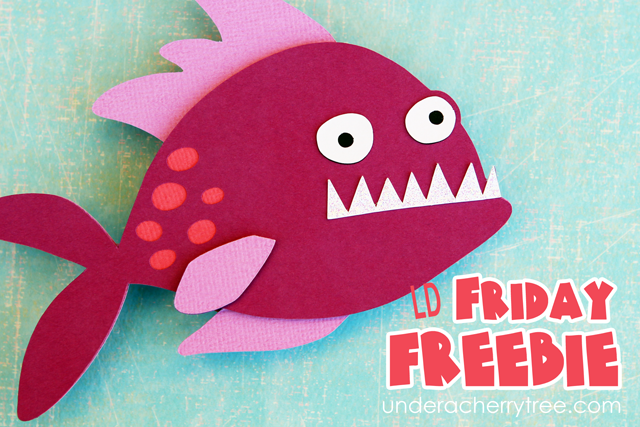 LD's 1-week-only Dollar Sale is still going on and all LD sets are priced at only $1 or $2! Don't forget your coupons: Use the code Create2014 to take $3 off $10 or WhoLetTheDogOut to take $10 off $30. 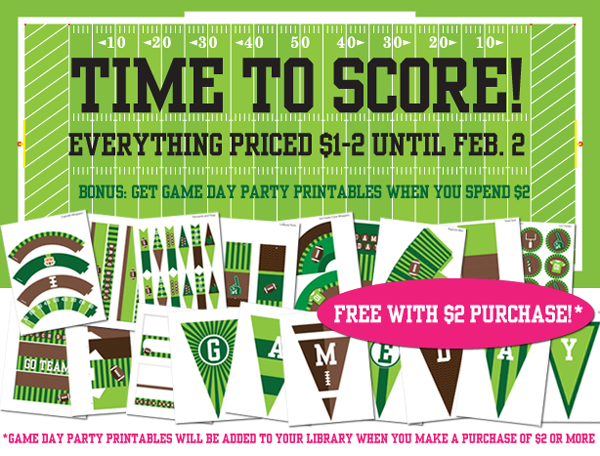 Even better, if you spend at least $2 on the site, LD will automatically add the Game Day Party Printables (graphics) to your library! Click HERE to shop the sale before it ends on Sunday, Feb 2. I was really bummed when LD retired the Animal Boxes and Bags SVG set last year. Soon after they introduced their Cut Its, LD retired their entire line of SVGs. Their reason was that SVGs come only in the .svg format whereas Cut Its come in several different formats including SVGs. LD thought that the latter would give the customer a better value. I love the Animal Boxes and Bags and I was hoping that they would replace it with the Cut Its version instead of removing it from the store altogether. But alas! They took it off their site and didn't put it back. I recently received some messages from my readers asking about this set so I approached LD and requested that they bring it back. I was delighted when they agreed to revive it in the form of a Cut Its! YAY! 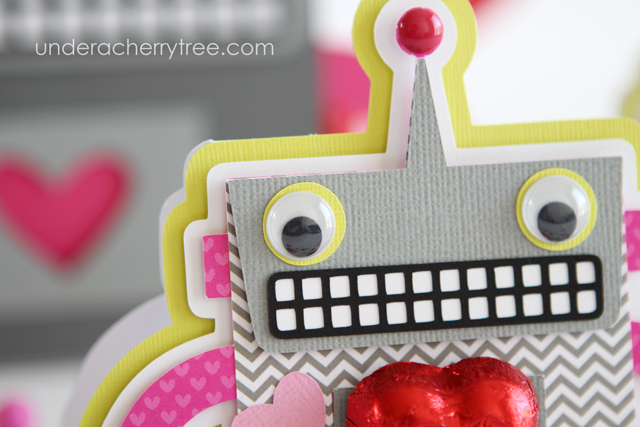 For today's project, I used the robot file from the Animal Boxes and Bags Cut Its. 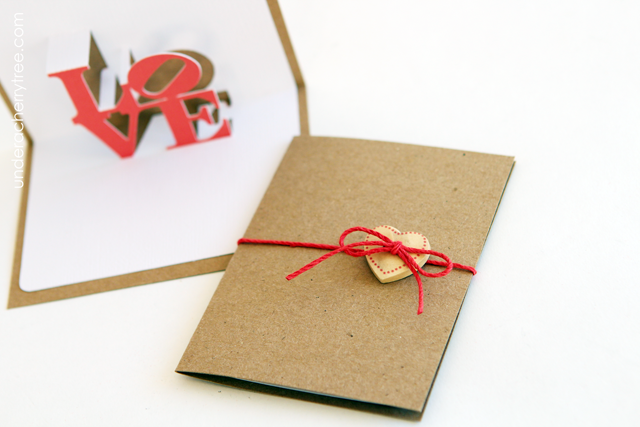 Instead of using it to make a box or a bag, I made a shaped card out of it . I didn't want to use the usual print-and-cut (with registration marks) method to, well, print-and-cut the sentiment so I did what I call the Faux Print-and-Cut (or Cut-then-Print Over?) method. This is because I was only printing a few of the greeting and using the usual print-and-cut method would waste paper. I had mentioned this method in a post from a long time ago. Basically, I print the text on printer paper, overlay the cutouts on it, and re-feed that printed page back into the printer to print the text on the cut outs. 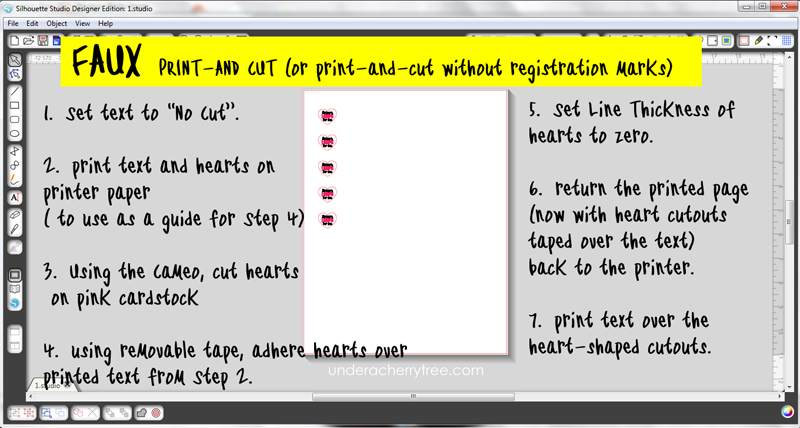 This was a good method to use before I discover the Silhouette machines and their print-and-cut capabilities. 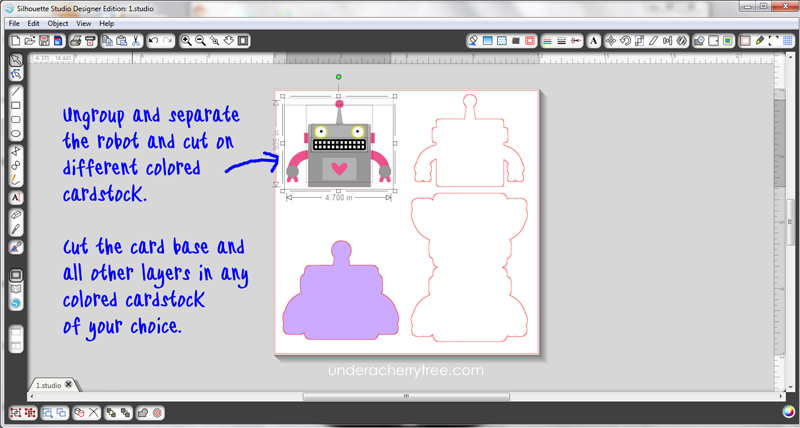 I still use this method sometimes when I only need only a piece or two of a printed cutout. 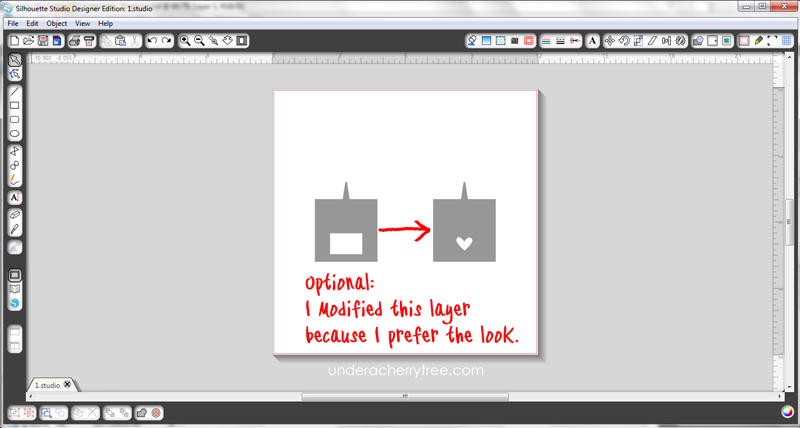 CAUTION: When using this method, especially with relatively small cutouts, be sure that the cutouts stick well onto the printed paper. Otherwise, it may fall off inside the printer and jam it. By the way, I also modified one of the layers of the robot. This is a personal preference and is totally optional. If you do not already own the Animal Boxes and Bags Cut Its, get it now while it is on sale. The regular price of this set is $7 but during the LD 1-week Dollar Sale, it is only $2. 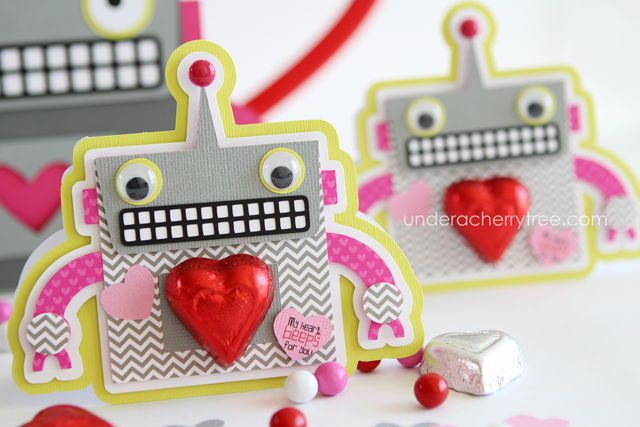 For today's card, I used both the graphics and the cut its sets from LD's new Hooked On You. 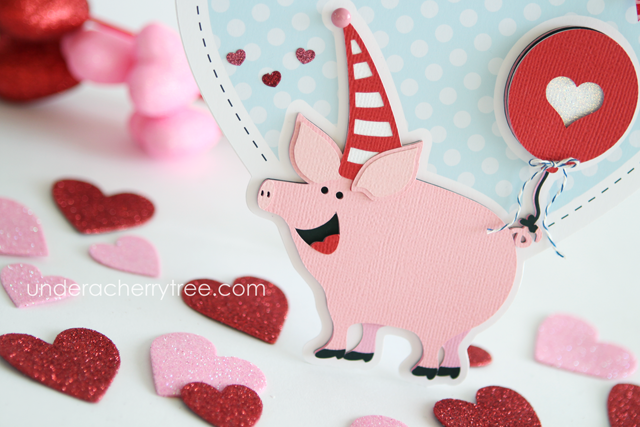 You could use only the cut its to make the card but I prefer the look of the graphic image for the background. By the way, if you missed my post on the differences between the LD graphics and their Cut Its, you can find the article HERE. 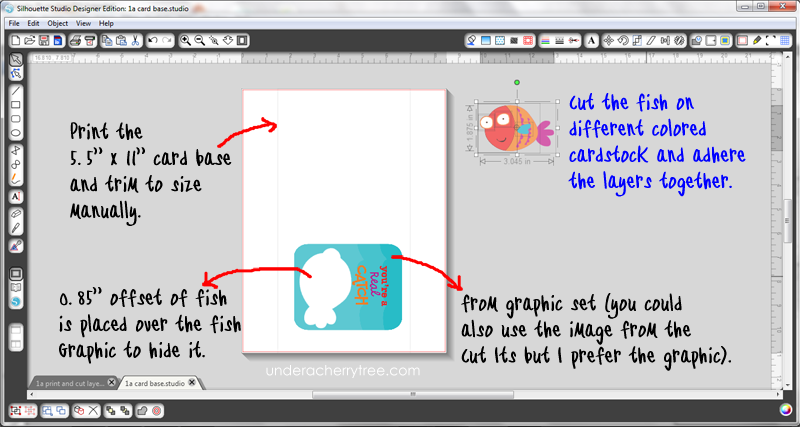 To cover up the fish in the graphic, I made an offset, filled it with white and placed it over the graphic image (of the fish). The 5.5" x 11" card base was printed and trimmed manually with my paper trimmer because it is too long to fit inside the print-and-cut zone. As the length of the card is the same as that of the paper that I was printing it on, I set the image to align to "Center to Page" so that after trimming the excess paper, the colored image will be in the correct position on the card base. The fish (from the Cut Its) was cut out on different colored cardstock and put together by adhering the layers with glue and foam tape. I also added a frame to the card front. It was print-and-cut and adhered onto the card base with foam tape. 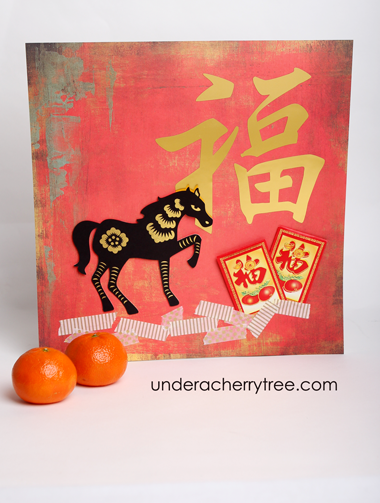 The finished card measures 5.5" x 5.5" when folded. Hooked on You cut its. Heads up!  LD has added Thin Fonts to their Dollar Sale! If you have been wanting to try these, now is a great time to get them as these single-line fonts do not go on sale as often as the other LD products. The sale is good for only 1-week starting today. Get your Thin Fonts before the sale ends on Feb 1. If you are not familiar with the LD Thin Fonts, click HERE and HERE to learn more about them. 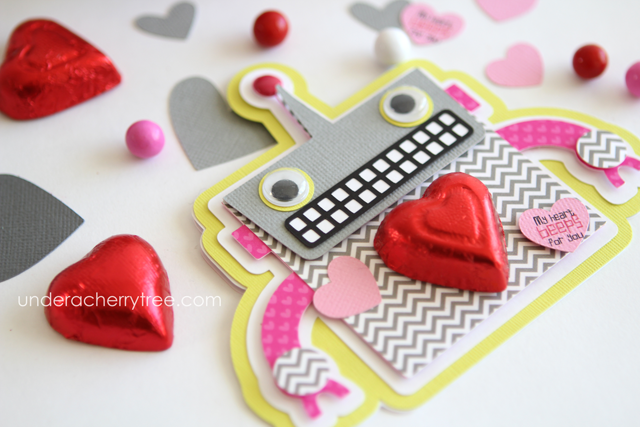 LD has also released a new Valentine-themed collection today. 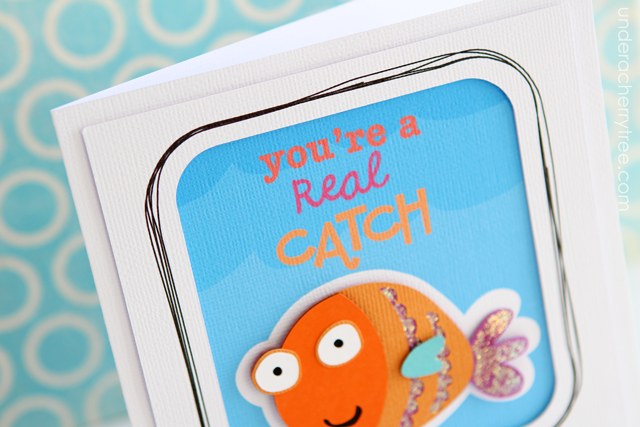 Get the Hooked On You graphics or cut its for only $1 and $2 respectively during the LD Dollar Sale. The regular prices of these sets are $4 (graphic) and $5 (cut its). Don't forget to use your coupons! Use the code Create2014 to take $3 off $10 or WhoLetTheDogOut to take $10 off $30. Click HERE or the image above to go to the LD site. 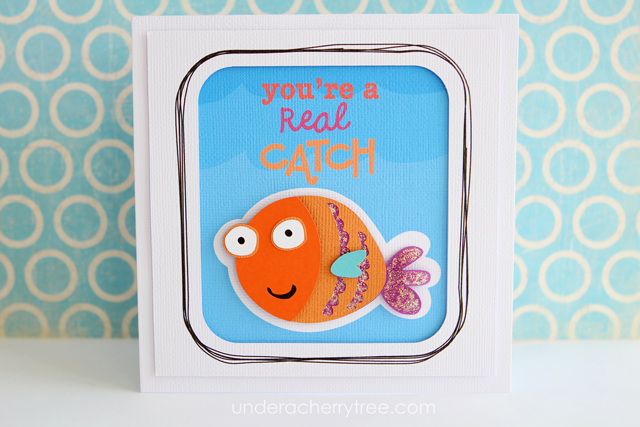 Add the two Hooked On You Pirahna files to your cart and checkout. You pay $0.00! The links to the downloads will show up after the "transaction" is completed. 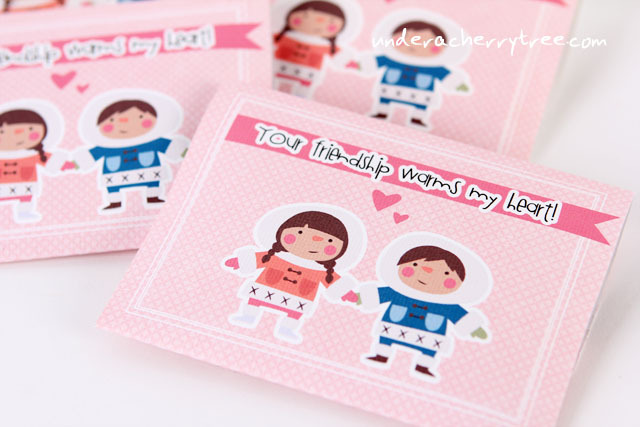 scrapNfonts is a sister site of LD and they also have a freebie to give away. 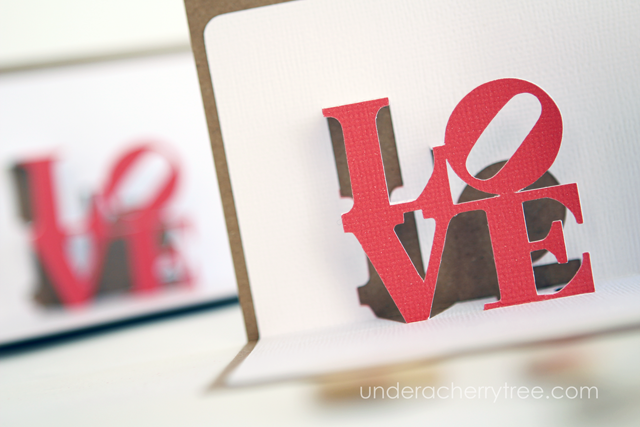 Click HERE to go to their Fontaholic blog and download the I Love Typography print for free. Wow! $1 - $2 SALE!!! 1 week only. WOOT! LD just surprised us with a Dollar Sale! Click HERE to shop the sale before it's gone. The offers for these sets are good for one-day only and will expire on Friday night at midnight MST. Click on the image(s) above to get your deal(s). 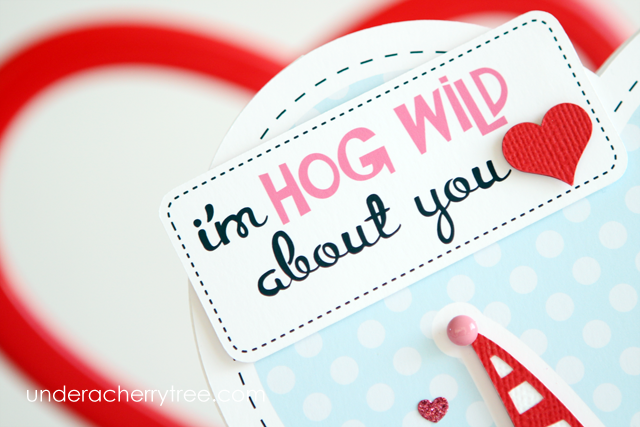 I used several sets from the Hogs and Kisses collection for the project. 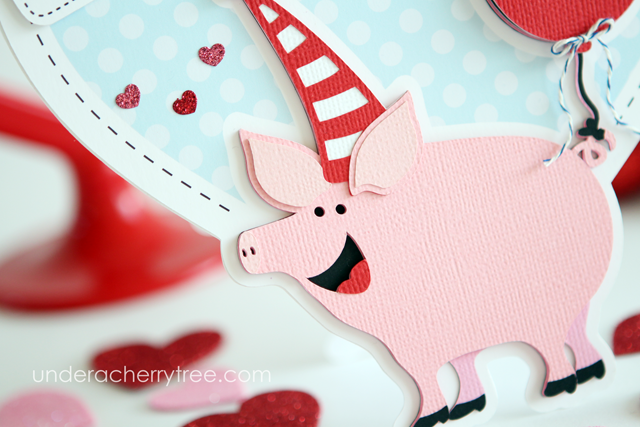 The card front and sentiment were print-and-cut while the pig was cut out from different colored cardstock and pieced together with glue and foam tape. 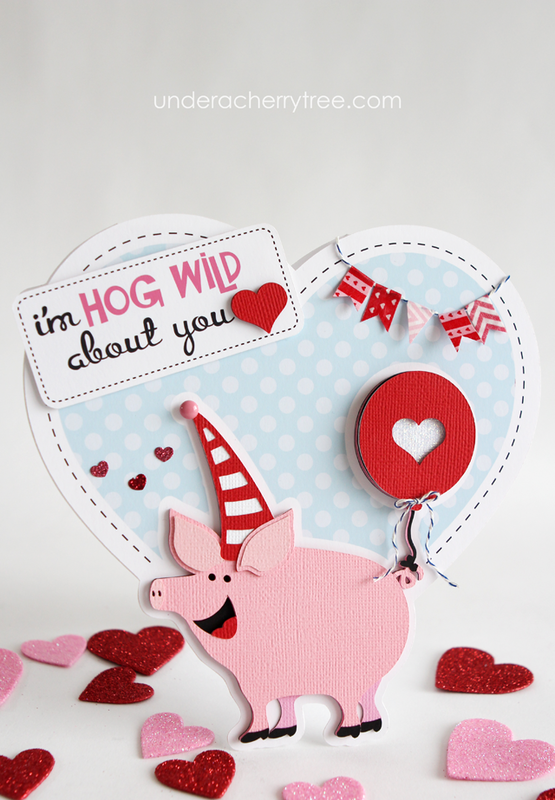 To make the shaped card base, I welded together an offset of the heart with that of the sentiment and the pig. To add interest to the balloon, I used Stickles to glitter it up. 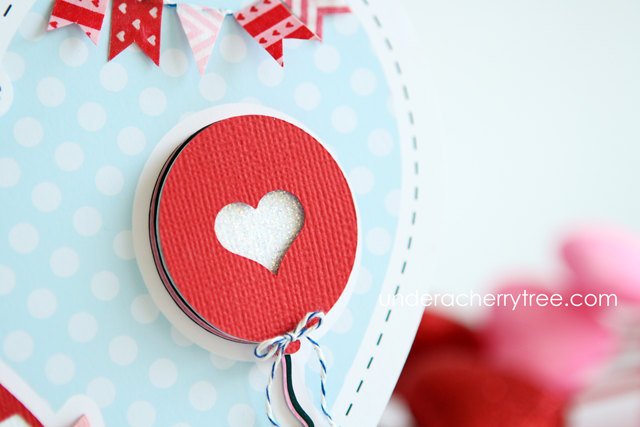 I also added a couple of mini glittered hearts. Those came from a sheet of stickers that I got from Target. 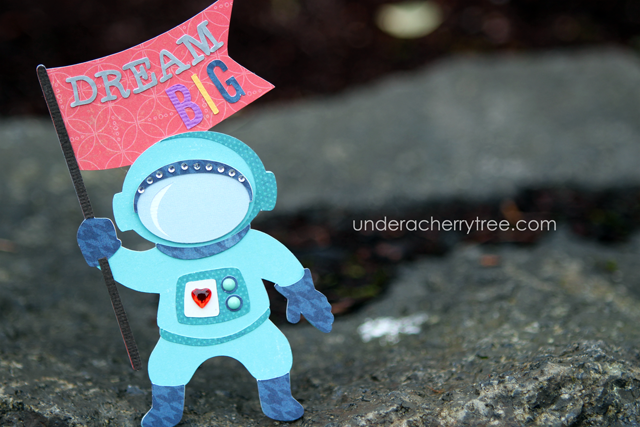 The banner was made from washi tape that I got from Michaels and from an online site (that I can't recall). 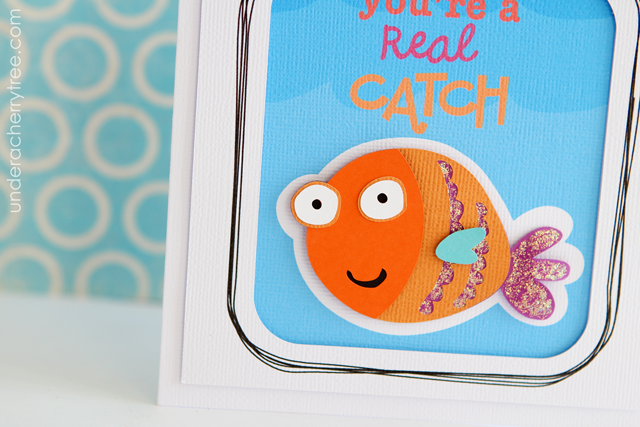 The finished card measures approximately 6.8" by 6.8". For 1-day only, the Eskimo Pie graphic set is available for only $1 while the Cut Its (SVG) is on sale for $2. The regular price of both is $4 and $5 respectively. This LD offer is good for 1 day only and will expire on Thursday night at midnight MST. Click HERE to get your Eskimo Pie before it's gone. 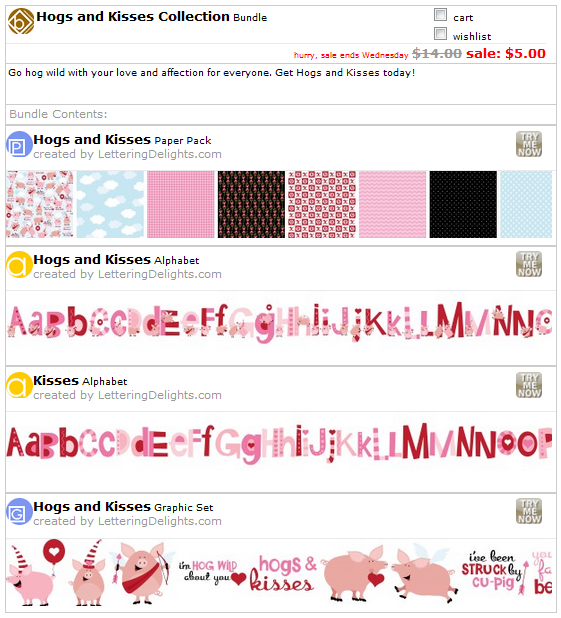 Get the Hogs and Kisses Collection for only $5! 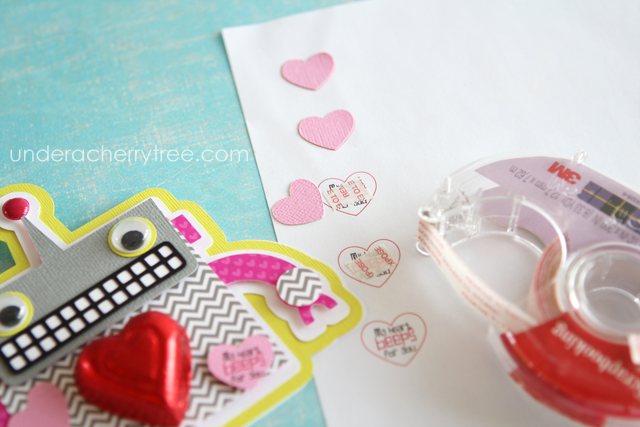 It includes a graphic set, a paper pack, and 2 alphabets. These are great for print-and-cut! The regular price of the bundle is $14. This offer is good from now until Wednesday night (expires at midnight MST). Click HERE to get it before it's gone. black & white sketch pen set. To get us to buy the new stuff, they even included a coupon! Use the code NEWSTUFF (haha! "NEWSTUFF". Seriously!) to take 20% off. I'm not sure if I'm buying any of these yet although I must say that I am a little curious about that adhesive washi sheet and the stencil material. What about you? Are you buying anything? 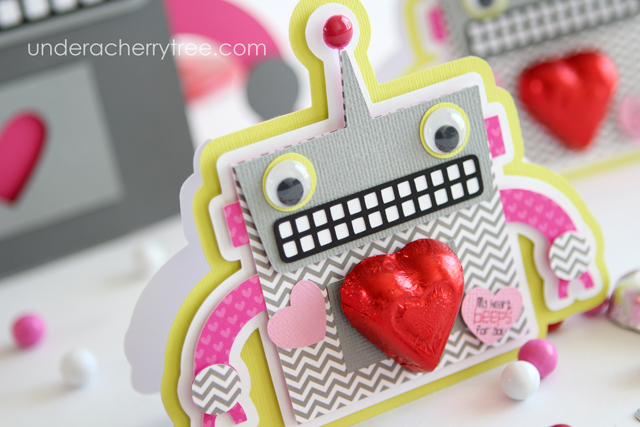 Hubby has a fondness for the LOVE sculpture and I was not surprised that he mentioned it when I asked if he had any ideas for a pop-up card. 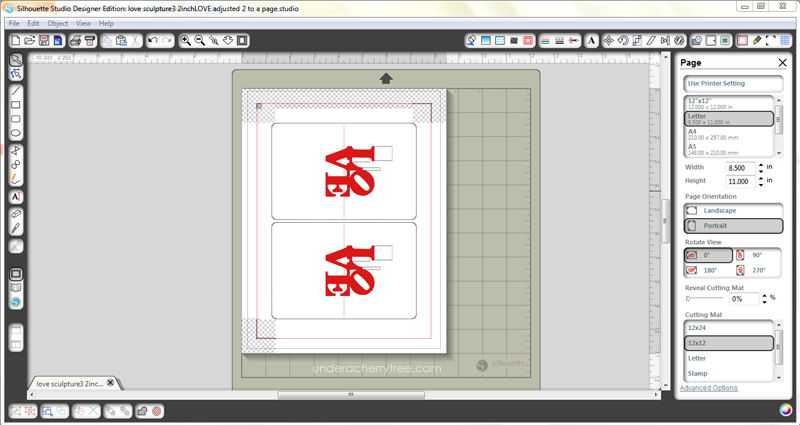 Using Make-the-Cut (MTC), I traced the LOVE image and saved it as an svg file. 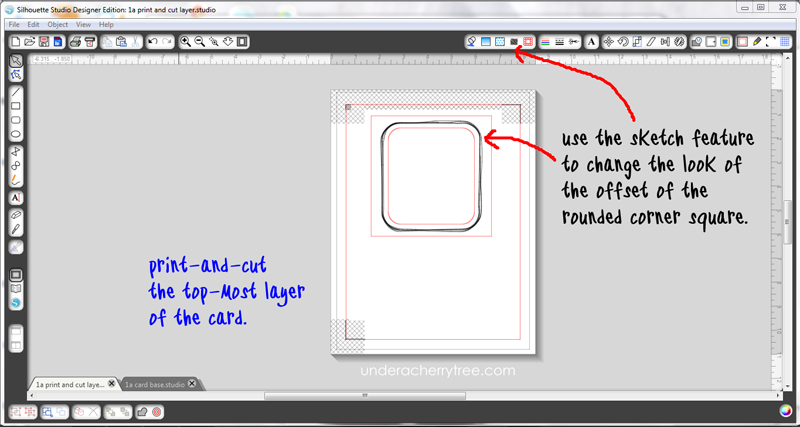 Next, I used that svg with the Pop-up Card Studio (PCS) software to make a pop-up layer which I re-exported as another svg. Finally I opened that last svg in Silhouette Studio DE and print-and-cut it out with my printer and my Silhouette Cameo. 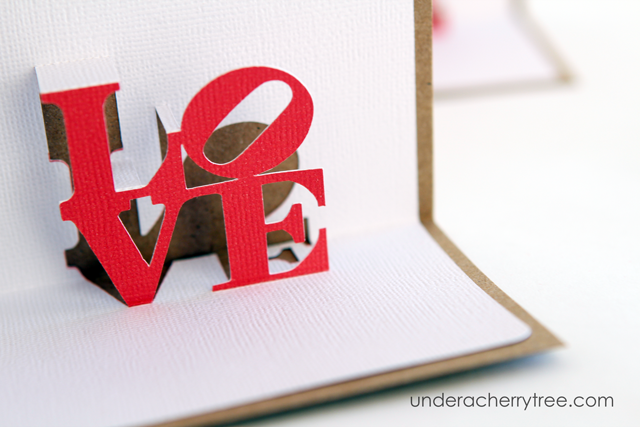 After the print-and-cut, I adhered the pop-up layer onto a card base. 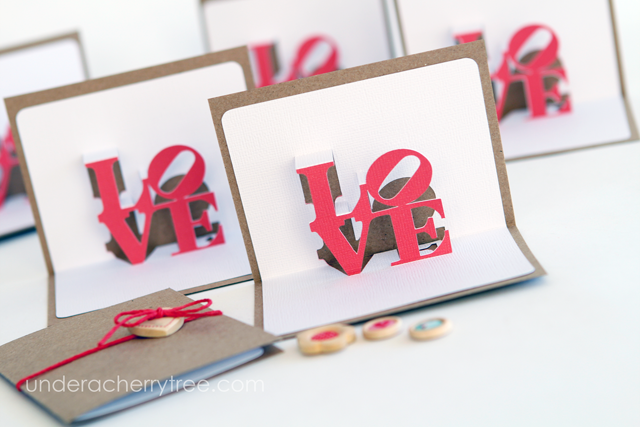 The finished card measures about 2.25" by 3.25". NEW Must-Haves! Ice Princess and Snow Cool. New! Popup Card Studio by MTC! Casio Pomrie- new rubber stamp maker! 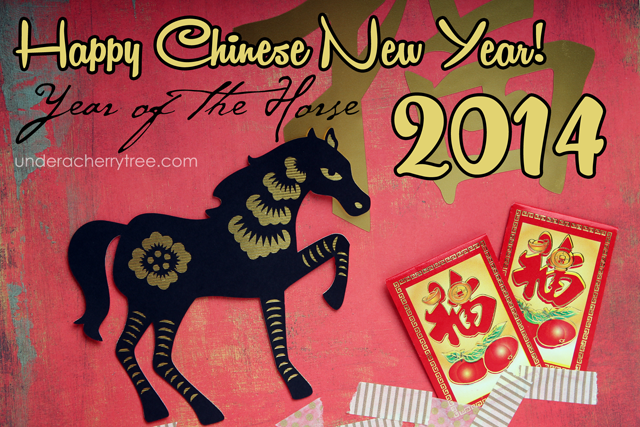 Bonus Freebies for January 2014!